I made a bunch of blocks in February! I made a bunch of blocks in February! It’s time to report in to Shelly over at Prairie Moon Quilts. 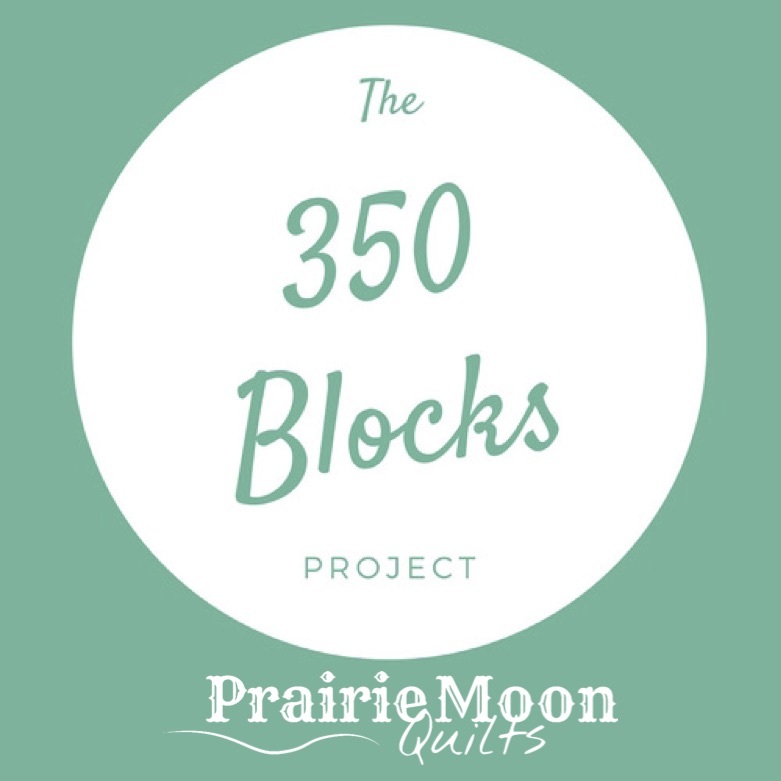 Shelly, you might know, is the keeper of the numbers (among other things) for The 350 Blocks Project. I had a good month as far as getting blocks made, or as far as getting them counted, anyway. Most of what I’m counting is sewing blocks together, but hey, it still adds up! Our goal for the month was 35 blocks. I am happy to say that I nailed it..and then some! I’ve pieced three tops for The 70273 Project, so counted those as follows: Quilt #40: 16 blocks, Quilt #41: 25 blocks, and Quilt #42 (? I may be totally off on which numbers these quilts are, just know that there are three of them): 46 blocks. I have not put the outer borders on those yet, but since they are just four long seams, I’ll add three blocks in for March. My little heart banner I counted as eight blocks. I know there are actually only three blocks in it, but there was a lot of piecing inside those blocks! Lastly, I have four sections done for the Canning Season quilt. I am counting each section as a block since it has a bunch of pieces (16 per section). I am anxious to get back to that but haven’t sewn at all in several days. I’m hoping there’ll be time soon. So, if my math is correct, I am counting 123 blocks for February. Yay me! That is, indeed, a bunch, right? I know that this won’t happen every month, so I’m pretty happy with it. That brings me to a total of 197 blocks for the year so far. How many blocks did you make? Well, boy howdy, you were a busy one this month. On the other hand, I was in slo-mo and didn’t get many blocks done. Good for you! It’s unusual for me to have that many for sure! You did great! That’s a lot of sewing! You still got a lot done, Cindy! A LOT! I even read my nearly 600 page book just in time for book club Wednesday! America’s First Daughter about Jefferson’s oldest, Martha aka Patsy. As an 18 year former resident of Charlottesville VA, (home of Jefferson) it was a fun read for me. Thoroughly enjoyable. I keep eyeing that one, Cindy! Good to know you liked it! A measly 24 for me! 24 still counts, Joanne! Some months I have NONE.